Police say four people were injured in a two-car crash in Fishtown Sunday. 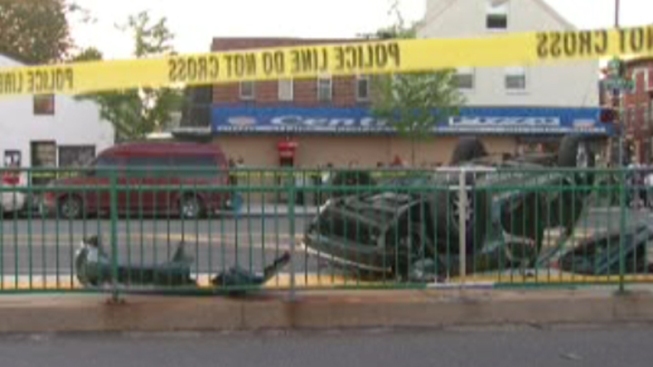 Investigators say the cars collided around 7:08 p.m. on East Girard Avenue at E. Columbia. Four people were trapped inside one of the cars after it overturned. Police say a 23-year-old woman was taken to Jefferson Hospital with chest pains, a 24-year-old woman, who is one month pregnant, was taken to Hahnemann Hospital. A 30-year-old man is in critical condition at Jefferson Hospital and a 29-year-old man was taken to Temple Hospital after suffering a serious leg injury.